Well…we have been in our new place for a little over two weeks and thankfully with a lot of hard work and dedication to get things done….it feels like home. We are already venturing out on our bicycles….however I am back in the hills again and certainly have to build my lung capacity again. 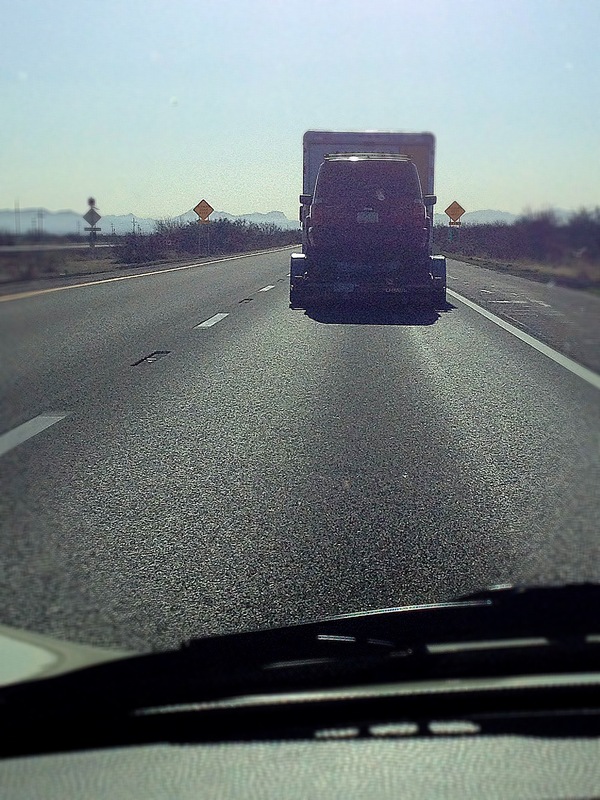 So now…no excuses…need to get started BIG TIME on Urban Hobo. This week I have been putting the finishing touches on our website. Now, I have to fill it with inventory….We must get to work! You may…or may not know…Urban Hobo is about “Artful Edibles” and handmade whimsical gifts. Our handmade gifts can be anything from our handmade tin Christmas ornaments to funky art from recycled materials or even small canvas paintings that are bright and fun. All one-of-a-kind. Now I am gearing up since I have several orders for crosses I am making. The one shown here is a painted black & white on tin with little charms that hang. All of these crosses are handmade so no two will be exactly alike. The cross is about 8 inches long and 4 ½ inches wide. I am also making some that are plain tin with hammered look. Since I have a bunch to make, I felt this was a good place to start. 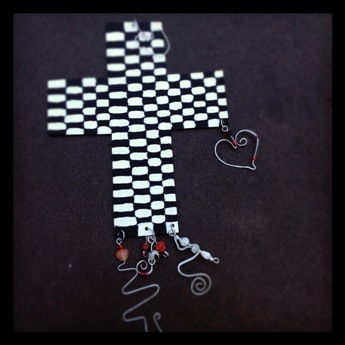 I will also have these crosses made smaller to be used as Christmas ornaments! (I know… how in the world can I be talking about Christmas four months into the year???) However, I will be starting on ornaments soon as there are several craft fairs and bazaars we would like to participate in the fall during the holiday season. One must have a lot of inventory for these events! If you are interested in one of these crosses as I begin to add them on my facebook page (Urban Hobo) and launch my website, please feel free to reach out to me via email shawn@urban-hobo.com. 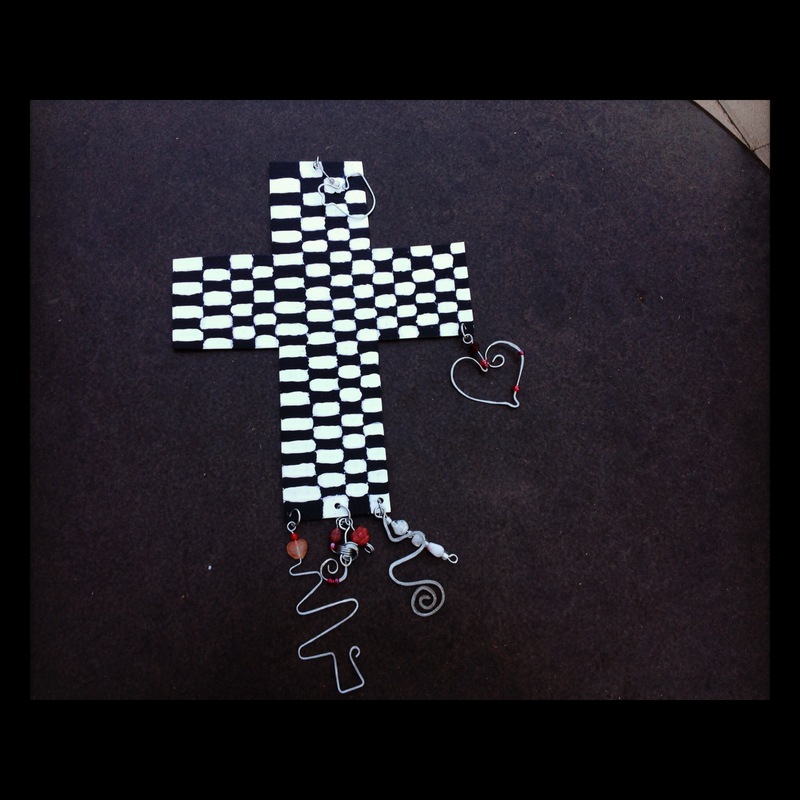 The crosses (like the one shown) will sell for $20.00.